1) Surplus energy that you create but don’t use can be sold back into the main electricity grid. The exact rates vary from individual providers, Smartlink will come to your home to help you through the process and start saving you money. 2) When you purchase your solar energy system, you will be allocated a number of Renewable Energy Certificates (STCs). The number of STCs you receive is determined by the size and energy efficiency of your system. 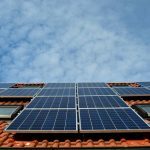 A wide variety of factors play a part in determining how much money you can save by purchasing a solar system. Smartlink will work through all of these with you during the design and installation of your system. To start with however, The Office of the Renewable Energy Regulator is an excellent resource to do additional research about how many STCs may be available to you if you purchase a solar system. A STC calculator is also available if you’re looking to purchase a solar hot water system. to sell any surplus solar electricity you may generate back in to the main electricity grid. this process, Eco plus will be by your side to make sure you’re your benefits are maximised.